Here is a quick caring card. I broke out my new pack of Stampin’ Up! Painted Blooms designer paper, added a touch of embossing and a sentiment. Supplies: Stamp – Stampin’ Up!, paper – Papertrey Ink White, Stampin’ Up! Daffodil Delight, Painted Blooms DSP, Rich Razzleberry, inks – VersaFine Smoky Gray, embossing folder – Darice, dies – Spellbinders, embossing powder – Ranger Liquid Platinum. 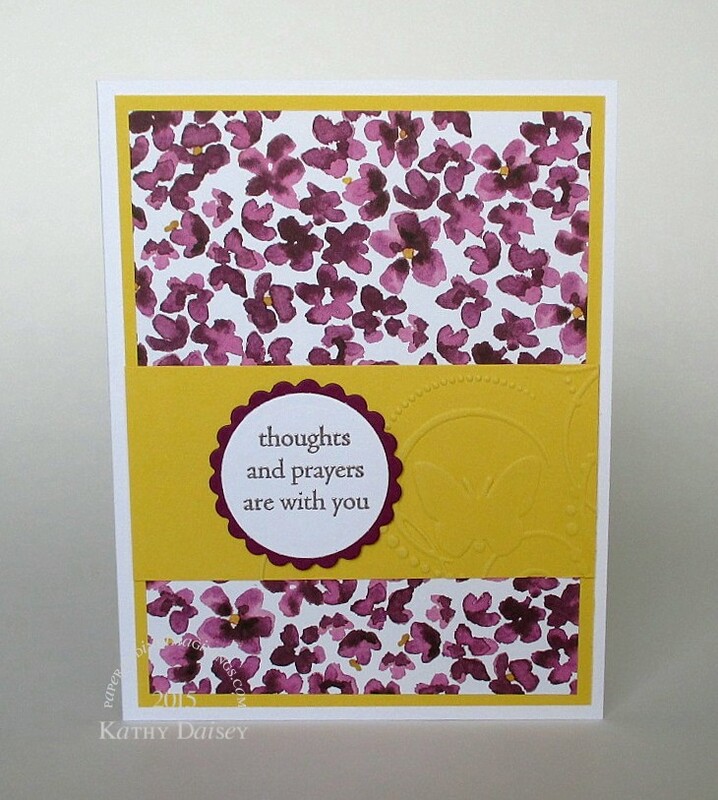 Categories: card, caring, sympathy, thinking of you | Tags: card, Darice, Papertrey Ink, Ranger, Stampin' Up! | Permalink. Really pretty. The purple and yellow together are just lovely. Thanks, Terry, I love the two colors together!